For those of you well versed in late 90's hip-hop/rap, this post title is for you (you all know who you are). I hit a big milestone on the rocker build tonight and got the joinery cut into both rear legs. 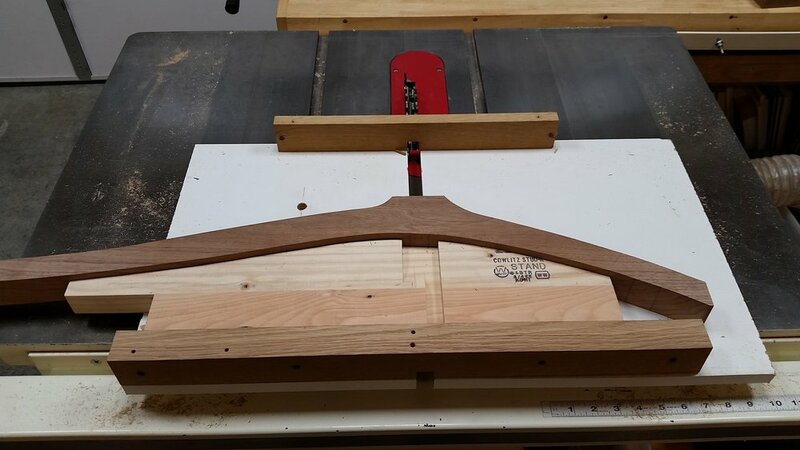 Due to the curvature of the rear legs, I had to build a crosscut dado sled with jig insert to hold the rear legs square to the blade while cutting the dados in the face and side of each leg. 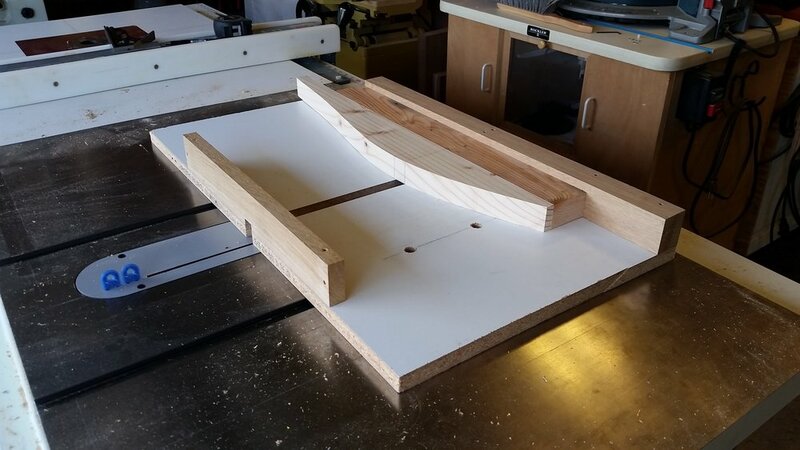 Here's the dado sled with jig insert. The jig insert is loose so it can be flipped over, depending which rear leg you're working on. Lining up the reference marks on the rear legs with the reference lines on the jig insert ensures that the rear legs are positioned correctly to cut the dados in the inside and front faces of the rear legs. Another view of the rear leg on the dado sled. First leg fitted to the seat board. IT'S A CHAIR!!! 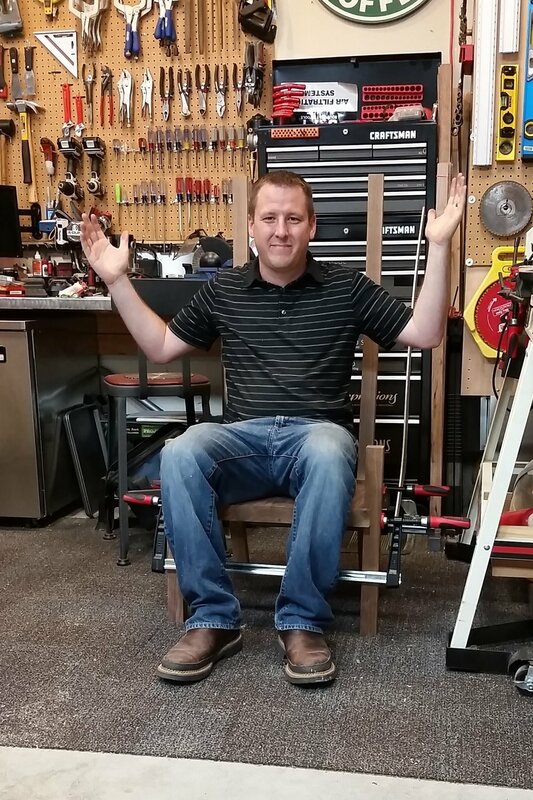 OK, OK, so it's just some pieces of wood that are dry clamped together in the rough shape of a chair, but I think that still counts! Here's a side view of all four legs dry fitted to the seat boards (which are just dry clamped together for now). 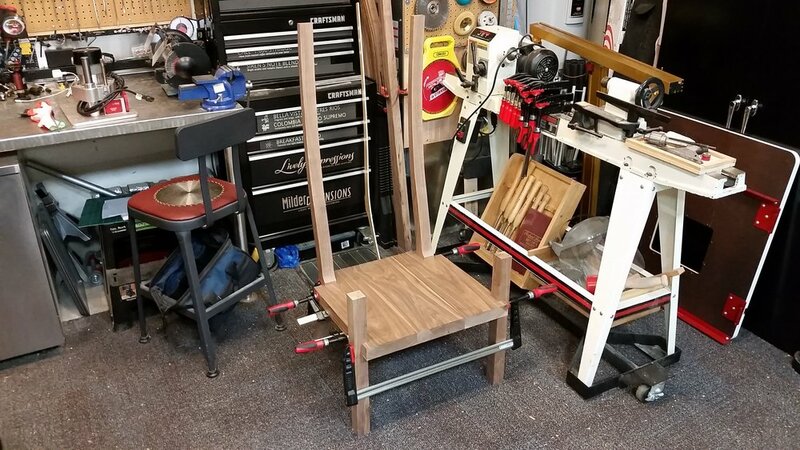 I just couldn't resist the urge to pull the dry clamped assembly off of the bench to see if it would hold my weight. I'll admit that I was a little nervous as I sat down, but quickly realized that the joints are rock solid. I still have a TON of work to do, but it feels good to see the chair parts starting to come together to form a single piece of furniture. 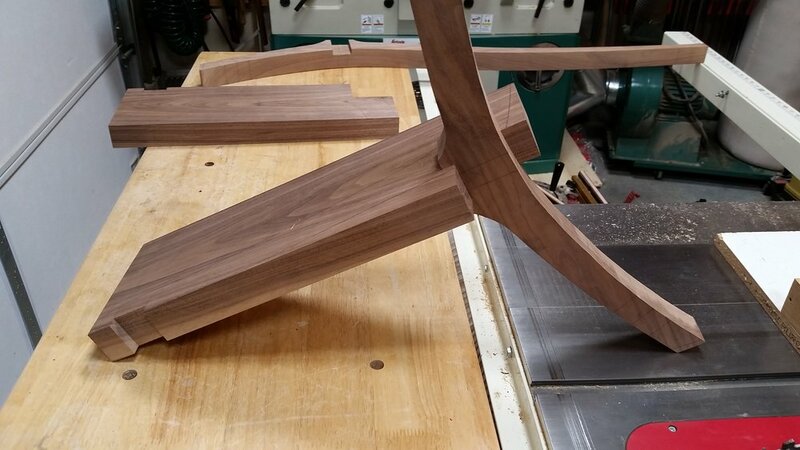 Now that the joinery is done for the main components, I can start to work on the stylistic features, like tapering the legs and cutting the curves on the edges of the seat. At times, the number of steps involved involved in this project seem a bit overwhelming, but nights like tonight are reassuring that the end goal is achievable. Like the tagline says... "I'm about 90% sure that I can pull this off."